Beautiful Black and Red Absinthe Bracelet. This beautiful bracelet has been made by taking a handmade artisan Absinthe pendant and attaching it to approx 8” beaded bracelet and a silver plated clasp. • This bracelet is very lightweight to wear and would suit any flower loving individual. • Although all bracelets are made with care and attention, it is recommend that you don't take them in the shower or swimming pool. 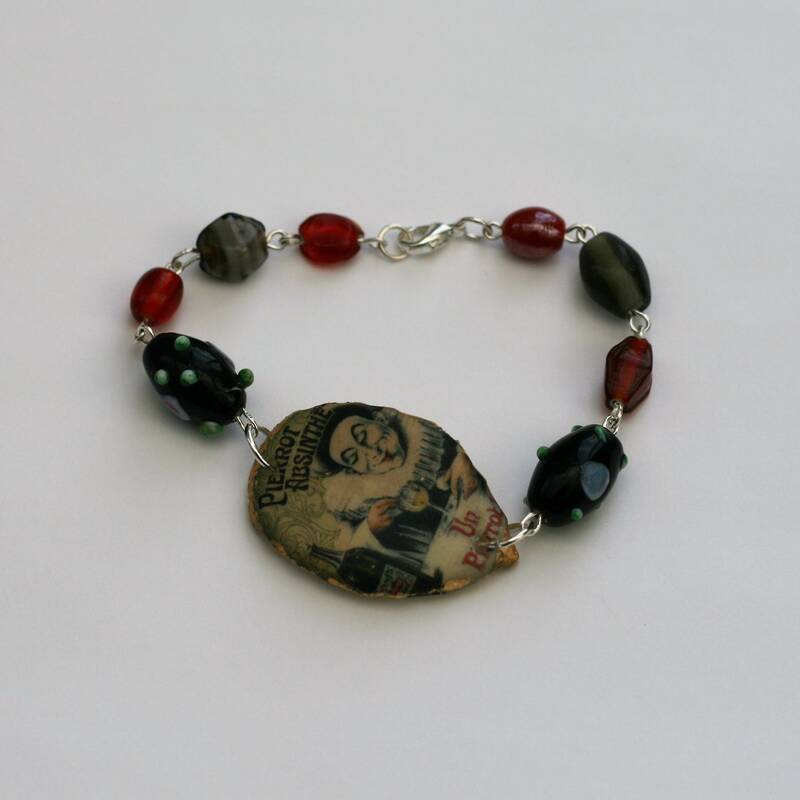 The focal bead used in this bracelet has been handcrafted from polymer clay, fired and painted. It was not made by me, but I am happy to be able to buy beads from another artist and support their business.